I never thought my kids would like TKD and that a free trial would end sooner than later. They didn’t like it, they love it and it’s all because of the excellent instructors and Masters. The confidence my 10-year old has now is remarkable and I see his determination now more than ever. He wants that black belt! My 4-year old was speech and language delayed when he started pee wee class. Master Nick knew this, but never treated him differently, instead, communicated with him and worked with him where now he has great focus and excellent ability to respond to you (even his pre-school teacher saw the change and said it was from TKD). They treat you like FAMILY. Master Lee, Master Nick, Instructor David/Austin/Daniel/Amy/Jennifer and so many more – you are all incredible and a God sent to my family and my boys. Absolutely love this Dojang! Myself, my husband and our 10 yr old daughter are students here. Master Lee and Master Nick are amazing with both kids and adults. They take into consideration the abilities of the individual and push each student to do their very best. If you are looking for a sport that teaches your child about focus, respect, discipline, perseverance and integrity in a fun, supportive environment, then this is definitely the place for you!!! From the moment my son took his trial lesson in 2013 to when he got his black belt we have had nothing but good experiences here. The instructors are knowledgeable, compassionate and motivating. We are so glad that our daughter is following in her brothers footsteps and is taking classes now too. Master Lee is an incredible teacher and I’ve learned so much from World Champion TKD! I am moving away from North Carolina and I’m going to miss this community so much. Learning TKD from Master Lee was such a rewarding experience. The staff at WCTKD are patient and firm, but so tender with the students. I have watched them work with students from special needs children to successful adult clients. It is a commitment and not inexpensive, but it is well worth the time and money to watch a child develop into a strong confident person who is not afraid and is comfortable in his or her own skin. 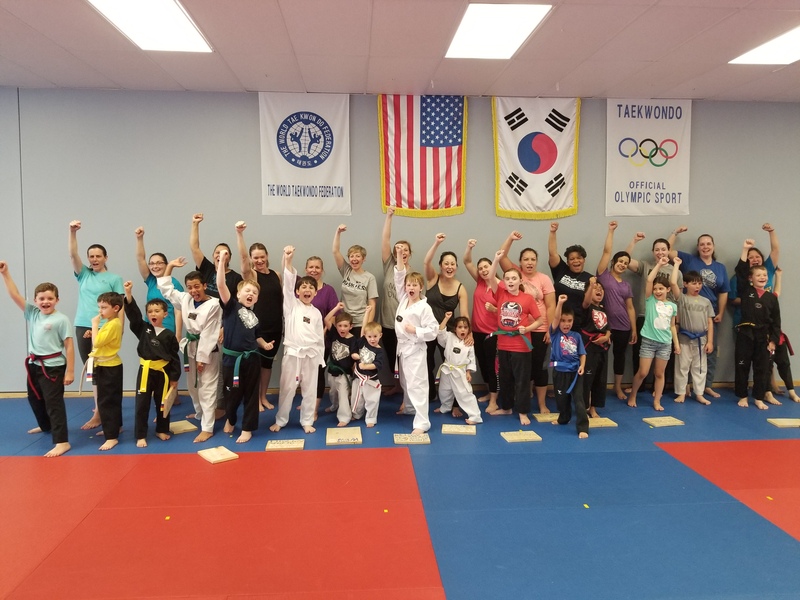 World Champion Tae Kwon Do has been an integral part in the development of our child. The staff and instructors at WCTKD have been awesome. Their ability to teach a group, yet focus on the needs of an individual student, is remarkable. We have also had our son’s birthday parties there, that was a great way to introduce some of our child’s friends to the benefits of TKD. We would definitely recommend WCTKD for people of any age. World Champion TKD truly lives up to its name by providing world class training and guidance. Master Nick is a very passionate instructor, always going one step further when coaching his students. Master Lee provides amazing guidance to his athletes with his expertise in TKD and experience as a world champion athlete/coach. I would highly recommend WCTKD to all athletes ranging from beginners to competitive black belts.